Ontario – add blue to this fall’s colours – as in blue water, a prime location to view the splendour of the changing leaves. Muskoka Steamships & Discovery Centre is running daily cruises on the Muskoka Lakes, offering a unique vantage point for the beauty of autumn in Ontario. Muskoka Steamships & Discovery Centre’s daily schedule includes lunch cruises as well as 2-hour and 1-hour sightseeing excursions, every day from September 15 until October 11. Your cruise ticket gives you free admission to the Muskoka Discovery Centre that has many interactive exhibits that explore the region’s history, culture, aboriginal stories and the importance of water as Canada’s greatest natural resource. This year marked the 150th anniversary of steamship service on the Muskoka Lakes. The R.M.S. Segwun and Wenonah II have been packed all summer, offering passengers a unique way to experience the fun, romance and history of the Muskoka Lakes. Back on land, the newly re-named Muskoka Discovery Centre (MDC), which is celebrating its own 10th anniversary this year, has a variety of exciting new exhibits. Among the first-time exhibits in the MDC is the “Canadian Waterscapes” travelling exhibit from the Museum of Nature in Ottawa. To close the season, on Monday, October 10, the R.M.S. 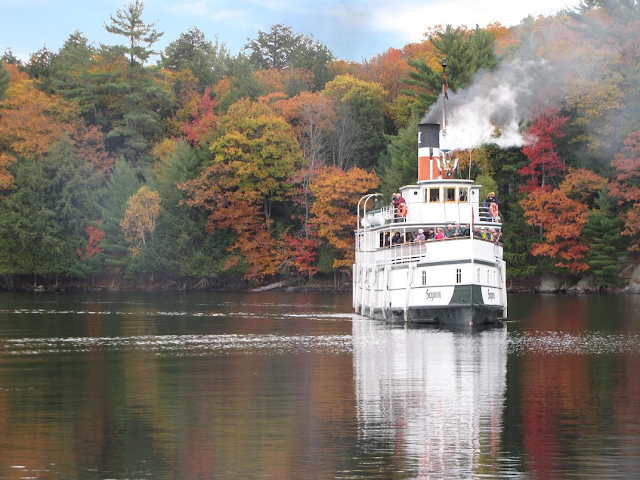 Segwun – North America’s oldest operating steamship – will host a special Thanksgiving Cruise, from 10:00 a.m. to 4:00 p.m.
For more information about Muskoka Steamships & Discovery Centre cruises, daily schedules, and interactive and educational exhibits, please visit http://realmuskoka.com. Follow them @RMSSegwun or ‘like’ them on Facebook. Muskoka Steamship & Historical Society is a membership based not-for-profit registered charitable organization which owns the R.M.S. Segwun, Wenonah II, Wanda III Steam Yacht, and manages the Muskoka Discovery Centre. 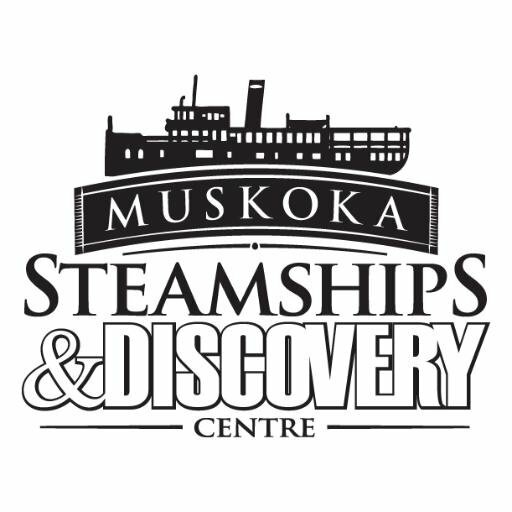 The Society’s vision is that the "Muskoka Steamship & Historical Society will be a leader in demonstrating the culture and heritage of the Muskoka region and its contribution to Canada by presenting compelling, entertaining and educational experiences, attractions, and events."